ABB presents at Hannover Messe its latest 350 kW Terra HP High Power ultra-fast chargers. It's being called the "world's fastest," as the 350 kW of juice is the new top level for cars. The Terra HP High Power can replenish 200 km (125 miles) of range in eight minutes (40-45 kWh), provide the car will be able to use 300-350 kW. As we can see in the photos, the Terra HP is equipped with two plugs - CCS Combo and CHAdeMO, as ABB would like to remain standard-neutral. The question is will the 350 kW of power be offered on the CHAdeMO side too when the standard becomes capable of supporting that energy level? ABB is one of several biggest players in the DC fast charging with more than 6,500 chargers installed in 60 countries. The power output is dynamically shared between the two plugs. 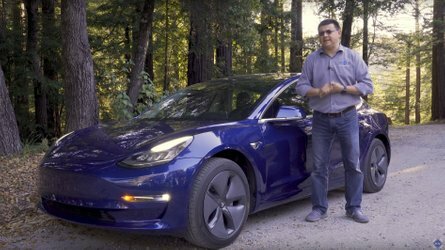 "With the number of electric vehicles on the road rising, the global demand for powerful and energy efficient vehicle charging stations is ever increasing. At Hannover Messe, ABB launched its newest EV charging solution, the Terra HP, the first 350 kW product on the market. 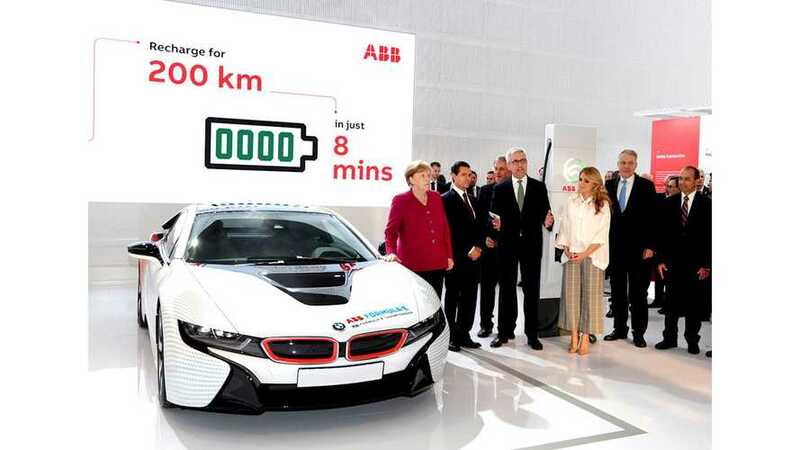 Charging time for a range of 200 km is just eight minutes. 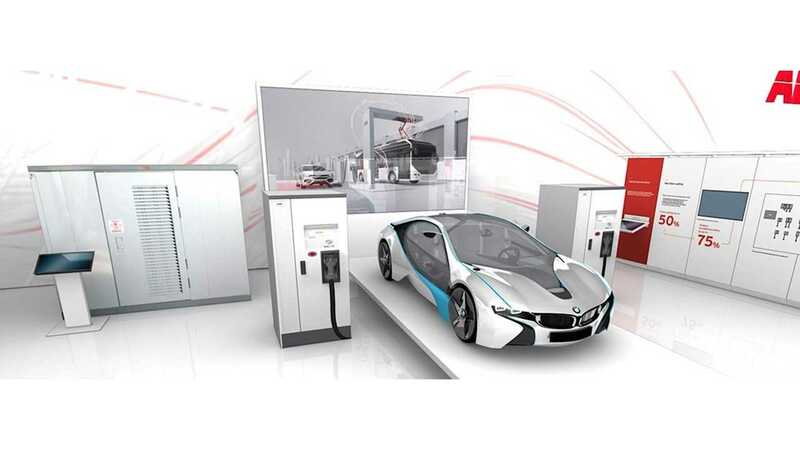 The addition of Dynamic DC power sharing technology, allows a two-power cabinet charging system to charge a couple of EVs simultaneously, with up to 350 kW, while dynamically optimizing the available grid connection and the power delivery to the two vehicles." 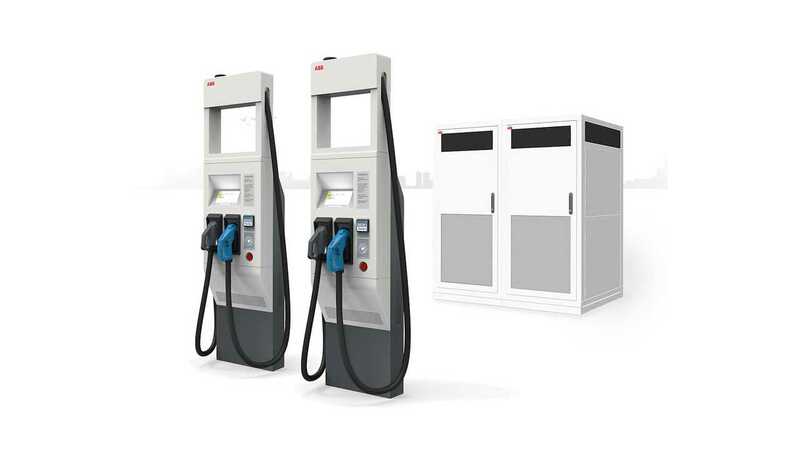 "Additional power cabinets and charge posts can be added after installation, delivering a cost-effective and future-proof solution for expandable charge points that can grow as the EV base grows. Terra HP delivers a number of additional benefits for consumers, including an intuitive, easy to use touchscreen display and multiple payment options."